The CEC member institutions complement each other in ways that greatly benefit the citizens in the community. Our two K-12 institutions, Cobb County Schools and Marietta City Schools, are very different, yet each is recognized for its high quality and student achievement. 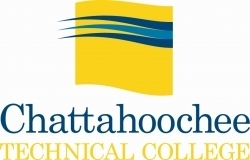 Chattahoochee Technical College's campuses offer many specialized programs at the certificate, diploma, and associate degree levels, some of which have achieved regional and even national reputations for excellence. Graduates are in great demand in the regional workforce. Kennesaw State University and Georgia Highlands College each offer a great variety of degree and professional development programs through the advanced degree levels, while focusing on different specialty areas. Kennesaw State is a large comprehensive state university. Few counties in the state or region provide the diversity of educational opportunities that Cobb County does. In this one area, students have access to public school educations of the highest quality. Click the links for each of the institutions to learn more about why the CEC has been recognized as a model for providing truly "seamless" education of the highest quality from "cradle to grave." Whatever the educational objective, the Consortium offers relevant programs that are second in quality to none.